Test your knowledge on “Traffic Signs” in this quiz. 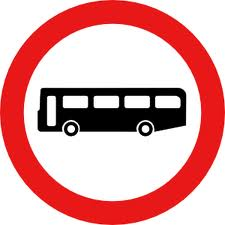 Any bus with over eight passenger seats is not allowed past this sign. 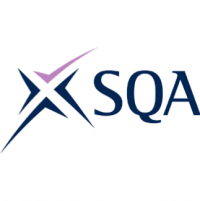 There are exceptions to this, applying to scheduled services, school and work buses. Your coach is 12 meters long and fully laden with passengers. What should you do when you approach this sign? The sign shows the MAM (Maximum authorised mass) allowed for goods vehicles. 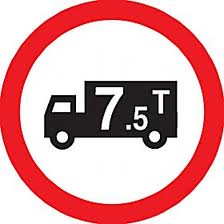 This sign is used to restrict heavy Lorries from travelling through certain places. Make sure that you park in an area that is safe to do so and will not cause an obstruction to other road users. You have priority over vehicles coming the other way, but you must be ready to stop if the oncoming vehicles have not stopped. This sign is at a junction and covered in snow, what does it mean? The only sign that is this shape is the Stop sign. This is so that it has distinction from other signs. This is the minimum speed to stop an obstruction in the flow of traffic. Watch out for signs for trams and road markings. You may not be able to hear them as modern trams are very quiet. 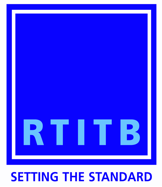 There will be road markings to indicate the bus lane. You should not use this lane for overtaking other vehicles or parking in. What does a sign with a brown background represent? A sign with a brown background will give directions to places of interest. A triangular road sign would indicate? This sign is a warning sign, to let you know that there is a hazard ahead. 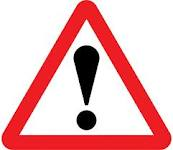 This sign is a warning sign, to let you know that there is a probability of danger ahead. You are just going to overtake when you see this sign, you should? 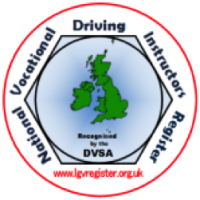 If you are going to overtake, hold back as you may not be able to see if anyone is in the dip. If you can’t see then don’t overtake. If there is a continuous shallow stream crossing the road then you will see this sign. If there has been heavy rain it might make the water too deep and then you may need to find an alternative route. 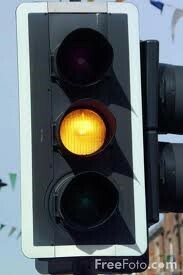 Which traffic light will show next after the one shown below? Amber alone means stop if safe to do so. You must remain stopped until the green light shows. These flashing red lights mean stop, what three places might you see them? Mark three answers. If you see these red lights flashing then you must stop. Steady amber light will show before the red lights start flashing. 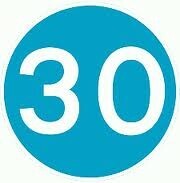 What does this sign tell you when you are driving through road works? It is a temporary sign to tell you how far it is to the next junction. This sign means that you are not allowed to stop at any point on the main carriageway. 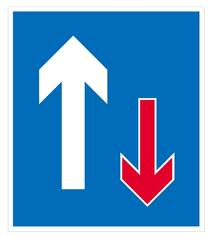 There is no traffic ahead of you on the motorway; you see this sign, where should you be driving? If there is no traffic ahead of you, you should always drive in the left-hand lane. What are the advanced stop lines, marked at some junctions for? This allows cyclists to be at the front of traffic for moving off when the lights change. There is a double white line along the centre of the road, continuous on your side; you may only cross this to? Solid white lines are put on the road where it would be dangerous to overtake. A solid white line on your side of the road means that you can only cross it to pass stationary vehicles or a pedal cycle.